Because the primary function of media is to communicate culture, media literacy is a wonderfully compelling blend of media studies and cultural studies. 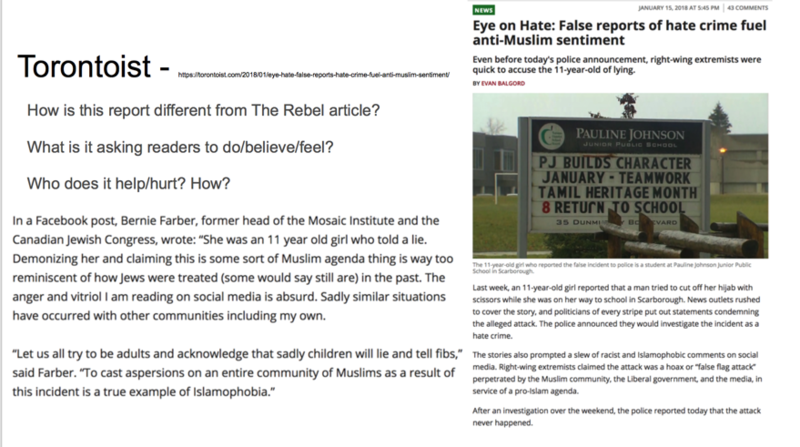 The Hijab Hoax news story case study is exactly that blend, and it provides rich learning opportunities. We have packaged the case study as Google Slides in hopes that the form will make the activities accessible and manageable. These notes are for the teacher while the slides are for student use. You can access the slides, which are for student use, here. Clicking on the articles will reveal the URLs that will take students to the original stories, where they may be easier to read and explore. There were many more news reports produced, but we have chosen a representative sampling that we think provides enough—but not too many— points of view. Students are welcome to do their own searches if they want more samples. Teachers can extend the activity by asking students to research similar articles and to note patterns in how the news is reported. We like to work from the Media Literacy Key Concepts as we develop lessons because they help us to focus on media literacy success criteria. In this case study, the focus key concepts are 2. Media construct versions of reality; 3. Audiences negotiate meaning; and 6. Media communicate political and social messages. Successful student work will demonstrate an understanding of each of these. 1. a blog post documenting the missteps of the people and institutions. 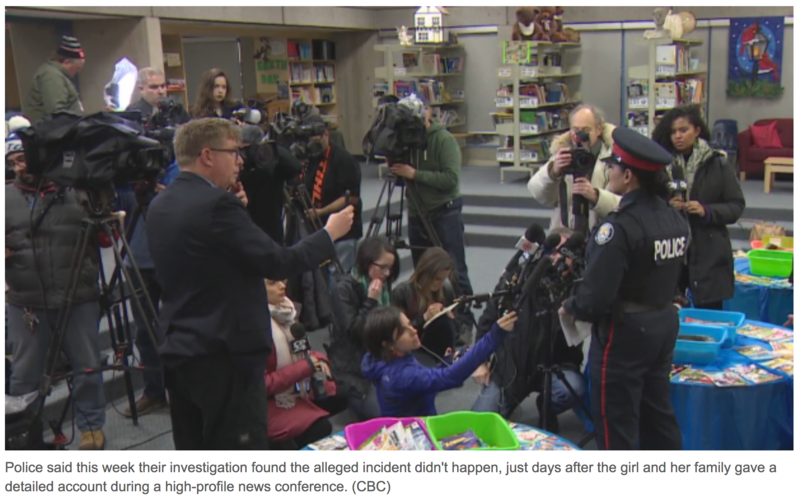 2. emails to the TDSB, news media and politicians describing students’ analyses and opinions of their actions. 3. a class discussion of how media experiences shape and reveal people’s attitudes and behaviours. 4. research on how the event was represented in additional news reports in the succeeding days after these incidents. 5. an exploration of how the news reporting and the many reactions to it became the real news.